Scott Elmquist Jim Livingstone, Greer Fullerton and Brian Erbe. What, you might ask, is Richmond police detective Mac Adams doing driving around with bagpipes in his trunk? He’s learning to play. And why? Ah, Adams is happy you asked. 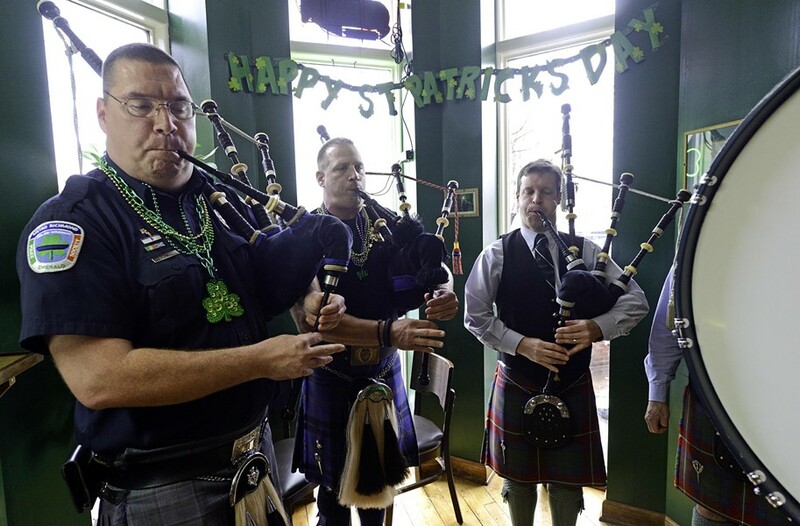 In 2011, area law enforcement formed the Metro Richmond Police Emerald Society, a fraternal organization of about 130 officers from 33 different federal, state and local police agencies who trace their lineage — recent or way-back — to the Emerald Isle. It’s a fellowship of those with Irish or Gaelic ancestry, and its main philanthropic effort is to help the families of officers killed or wounded in the line of duty. Serious stuff balanced by a kicking drum and pipes band that makes the rounds every St. Paddy’s Day — or anytime anyone asks.